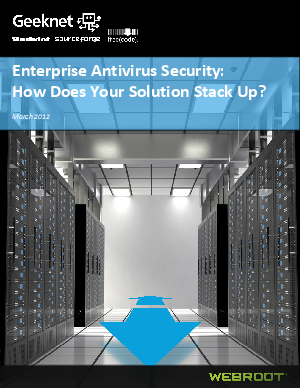 > Research Library > Webroot > Enterprise Antivirus Security: How Does Your Solution Stack Up? Enterprise Antivirus Security: How Does Your Solution Stack Up? The experts agree that AV software is a must-have for business PC users, but it is necessary to take great care in choosing one. In this brief, you'll find that user experiences with AV solutions can vary widely.